Last weekend I made a short visit to Ras al Khaimah, the venue for the 33rd America’s Cup to be held in February next year. It wasn’t a long enough stay to make any judgements about what life is really like in the UAE, but it was sufficient to judge the suitability of the Emirate as an America’s Cup venue. The last time I visited an AC venue under construction was at the end of March 2006, when I was able to see the construction work taking place in Valencia, where racing was due to begin six weeks later. Driving into Valencia for the first time, back in 2006, we approached through depressingly mono-coloured back streets, with no vegetation, some new, boxlike concrete houses and cranes looming over stagnating building works. 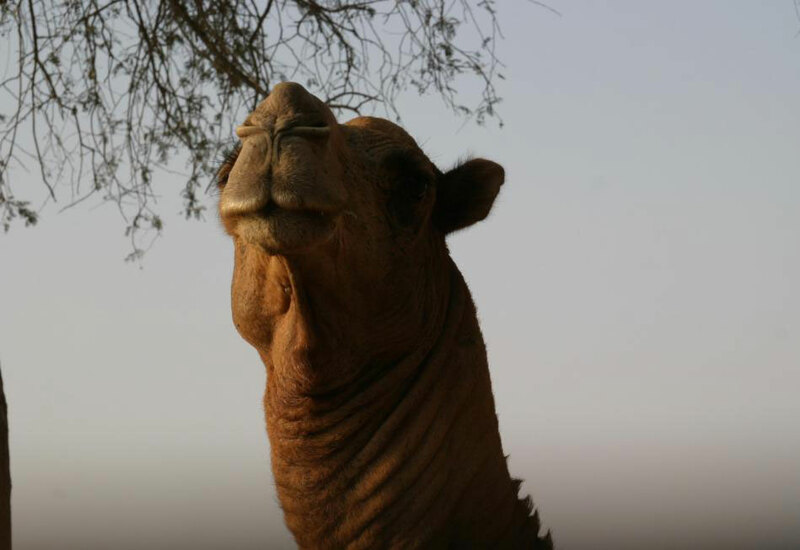 Driving through the outskirts of Dubai, from the airport to the Ras al Khaimah road, the only noticeable difference was that there were no hookers on the roundabouts. On that Valencia visit, visiting journalists stayed at the Las Arenas 5-star hotel, as guests of BMW Oracle; in Ras al Khaimah, we were accommodated at the Al Hamra Fort 5-star hotel, as guests of Alinghi. Both hotels had massive foyers and our rooms were spacious, with a huge bed, a sitting room area and large outside terrace. 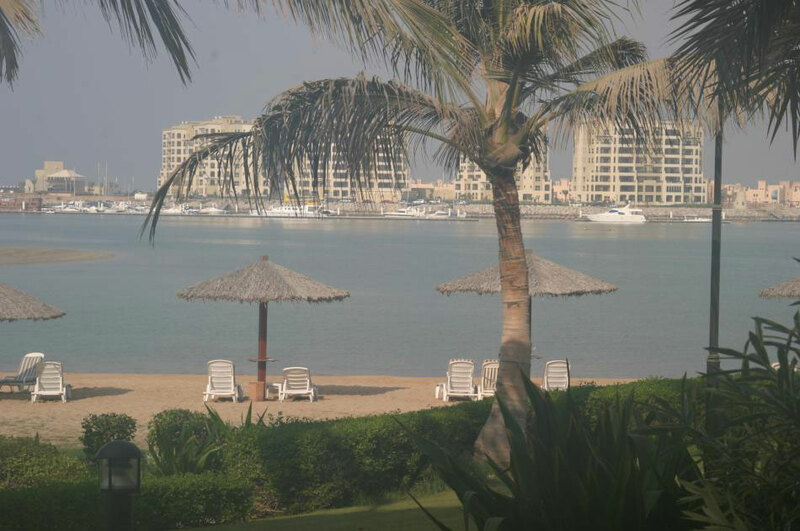 The grounds of both hotels were lush, with a variety of trees and shrubs, including tall palms and both had a view of the beach. The Al Hamra Fort scores in some small ways; as you wait to check in a glass of ice cold fruit juice appears, the guy who takes your luggage to your room does just that, he does not make a play of showing you the wardrobe and the bathroom whilst clearly waiting for you to tip him. Some things are not so good in Ras. The air conditioning at Las Arenas functions impeccably, at Al Hamra Fort it has two positions – Off and Refrigerator Level – it makes no difference how you set the temperature, the same icy blast blows in, leaving you going onto the terrace to warm up, whilst wishing you’d packed a sweater! The only other criticism I could make was about breakfast; as at Las Arenas, Al Hamra Fort offered a huge array of dishes to suit all tastes, even if the bacon is turkey and the sausages veal. The downside is that neither hotel manages to keep hot food really hot, but it was at least lukewarm in Spain. 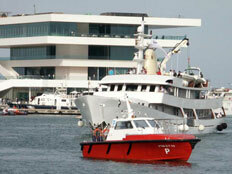 The actual America’s Cup sites are very different. 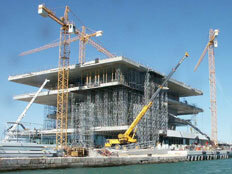 Valencia’s Port America’s Cup was based on an old fishing port, surrounded by dilapidated buildings that were – until work started – the haunts of city dropouts, overlooking commercial ports with vast arrays of containers. The Al Hamra facilities (right) are on a manmade island, overlooking the sort of modern resort developments you see along the coastline to the north of Valencia. Where there is a striking similarity, between Valencia and Al Hamra, is in the state of the venue preparations, with just a short time left before the scheduled racing. In Valencia, the walk from Las Arenas to Port America’s Cup was along established roads that were being upgraded to cope with the expected traffic and where a multitude of cordons protected holes dug up to install additional services. The road system approaching Al Hamra is new, but unfinished. The Valencia bases of Alinghi and BMW Oracle were fully operational for our April visit, those of some other teams less so, with Team Germany operating from a shell and China Team’s base only partly built. The Alinghi facilities on the Al Hamra island are fully functional, with boat shed, mast shed, sail loft, canteen and offices; the BMW Oracle area is basically prepared, but further work is on hold until that team makes its requirements known. 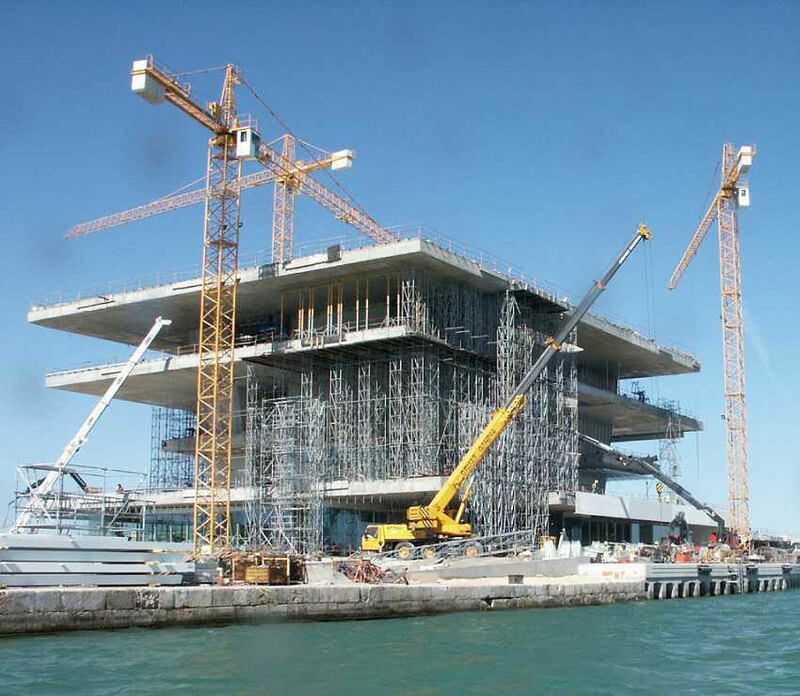 The canal from Port America’s Cup to the sea, off Valencia, was a building site when we first visited, with the Vela y Venta VIP building a scaffolding covered shell and dredgers, dozers, diggers and pile drivers operating to increase depth, create marinas and build roadways. 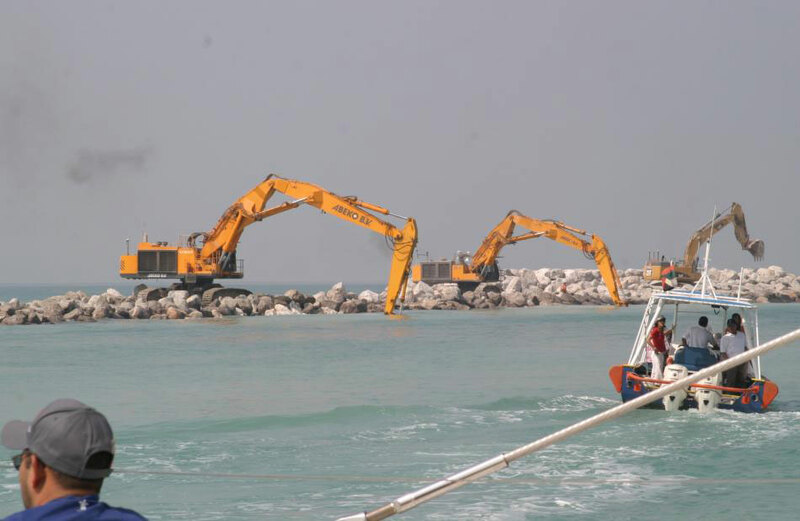 The activities along the canal from Al Hamra Island to the sea involve the same sort of machinery; the only difference is that there are more and bigger dredgers, dozers, diggers and pile drivers. Anyone who has any doubt that the Ras al Khaimah facilities will be fully functional in time for the event has seriously misjudged what can be achieved in a very short time, if you throw sufficient resources at the project. 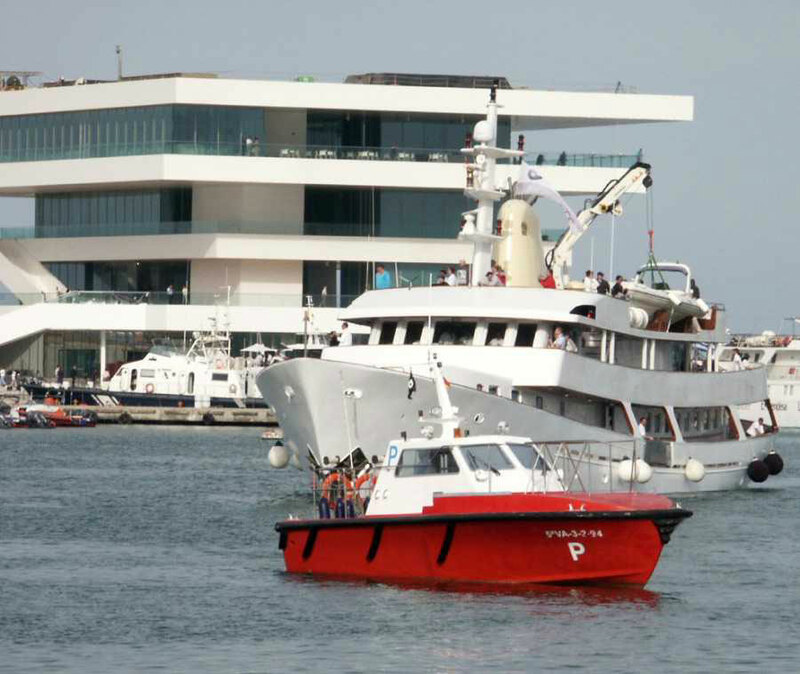 Valencia proved that for, just two months after our visit to that unfinished building site, megayachts were sailing out of the marinas, decrepit commercial buildings had become attractive homes for TV companies, entertainment centres and quayside cafés and the Vela y Venta building was ready to welcome those VIP guests. I can only say that I felt safe from the moment I set foot in Dubai. At Paris’ Charles de Gaulle airport, dubious looking groups and individuals made me keep a hand on my shoulder bag and the presence of army patrols toting sub machine guns was intimidating, rather than reassuring. There were no guns at Dubai airport and nobody hanging purposelessly around. One night, I walked alone from the Golf Club to the hotel; no way would I walk anywhere in Valencia, or Paris for that matter, other than in a well lit and busy area, if I were alone at night. The most amusing indication that American companies don’t feel a need to maintain a low profile, in order to keep their employees safe, was outside Dubai airport. Like most cities, Dubai taxis have a colour scheme; not the yellow of New York, nor the black of London, but cream, with a red roof. Three out of every five taxis, waiting outside the airport, also had red rear doors, with a white ORACLE emblazoned across them! 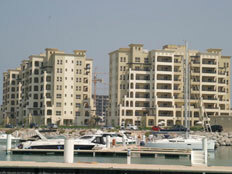 Life in Ras al Khaimah? 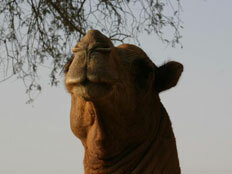 The nearest I got to seeing “real life”, in Ras al Khaimah, was a visit to a camel farm. I would have liked to stay longer, to go into the old Ras al Khaimah city and visit fishing villages to explore and talk to Emiratis. I got the impression that few westerners ever do that, indeed I asked three long term residents “Do you speak Arabic?” and all said “No, why bother.” The answer to that question is that, however well the majority of a country’s inhabitants speak your language, you will get far more respect, co-operation and frankness from them if you make an effort to speak theirs, however badly. All I can say is that I didn’t see any unhappy faces; I didn’t see one woman – not on the flights, nor in the UAE, with her face covered, whereas a week before, in London, I had queued for a passport behind a woman in Arab dress whose eyes were the only things visible. The UAE seemed a pretty normal place with its ups and downs, even the disgusting habit the locals have of dumping plastic bags of garbage by a country road is no different from what happens in parts of Europe. Much has been written about Iran, much of it by people who simply don't understand the political situation in the Middle East, or even - in some cases - the geographical one! The main thrust of BMW Oracle's court case about the venue focuses on the proximity of Ras al Khaimah to Iran and the possibility of an Iranian foray into UAE waters to attack some American boat. I asked H.H. 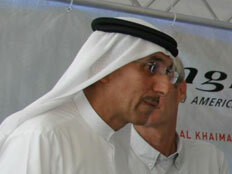 Sheikh Omar Bin Saqr Al Qasimi, Chief of the Private Department of H.H. Sheikh Saqr Bin Mohammed Al Qasimi, Ruler of Ras Al Khaimah, if he would answer some questions about Iran and he readily agreed. What is the relationship between Iran and the UAE? Sheik Omar: You can chose where you live, but your neighbour and your brother you cannot chose. Iran is our neighbour and the relationship between Iran and our country is wonderful; there is trade, commerce, people travelling from here all over there, we have never had a problem with Iran. I think the wisdom of our leadership is to have a wonderful relationship with all of our neighbours and internationally. What are the factors within Iran that are creating what the west perceives as Middle East tensions? Sheik Omar: I think that Iran, because of its leadership, is taking the lead of a little bit of aggressiveness, whereas the west seems a little bit in disagreement, but I think there are wise people in Iran, who can bring it to an international level and sit with an international team where all can speak and discuss their differences; people don’t talk enough. 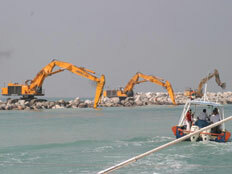 There have been some stories put out saying that Iran owns the port here in Ras al Khaimah. Is this true? Sheik Omar: Iran does not own a single thing in the UAE. 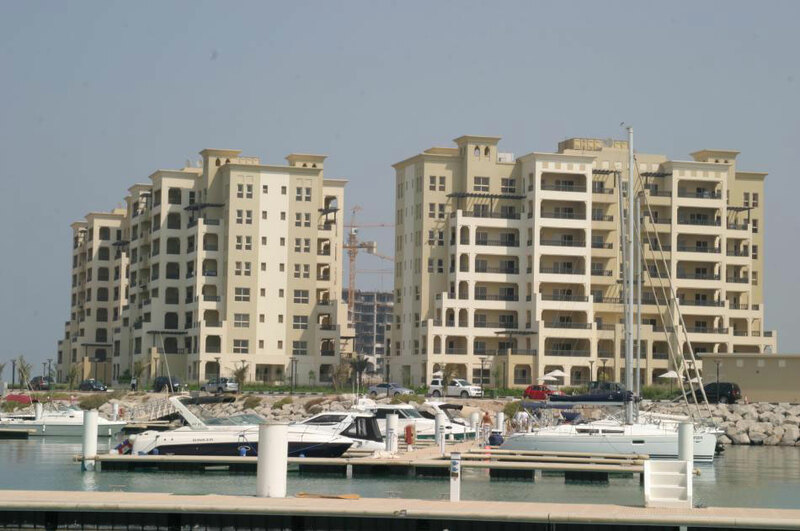 No Iranian entity owns anything in Ras al Khaimah, nor the UAE. Is it correct that a lot of Iranians live here? Sheik Omar: We have a lot of nationalities living here; we have many Indians and Pakistanis, we have Philippinos, we have people from all over the world living here. Iranians are not the majority of ex-pats living in our country, but there are a good number, just as there are a good number of Americans, Europeans and others from all over the world. The UAE is trying to become a service country to the rest of the world; we want to be both traditional and international. Do you see the Middle East becoming a world leader, even taking over from America as a sort of “centre of the world”? Sheik Omar: I don’t think you can take over from anyone, you can only add and complement each other; America would give something, we would give something, Asia would give something, Europe would give something. The world is becoming a small community and we should be getting together and working together, rather than fighting each other. If you could, personally, do something to bring that about and solve the problems in Iran, Irak, Afghanistan, Palestine what would your approach be? Sheik Omar: First of all I would understand people; I would try to understand their needs and support them in whatever way I can, except militarily. I would avoid anything military. If you can understand people, you can understand their problems and that is the first step to finding the solution. When I left Ras al Khaimah the temperature was 34°C, as we came in to Montpellier airport - over the Mediterranean - we were told the temperature was 14°C. Valencia is further south, but February in the Med is colder than October, so that alone means that Ras al Khaimah will be a far more pleasant America's Cup venue than Valencia. On top of that, my last memory from the RAK visit was of two army guys patrolling Montpellier airport with sub machine guns, something you don't see at Dubai! 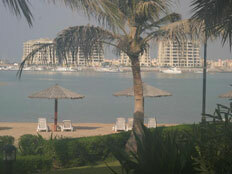 The BYM Photo Gallery now has a Ras al Khaimah album, where you can see more photos of the 33rd America's Cup venue.